I've referenced my bullet journal here on Reading With Jade a couple of times now, and I've had a couple of questions about it. I think when a lot of people think about bullet journaling, they think about the beautiful and creative ones shared by other talented bloggers, and that can put off a non creative person. I'm a non creative person, and I absolutely love my bullet journal. For me, bullet journaling is about having a personalised system that works for me. For more information regarding bullet journaling, the origins, getting started, etc, then you can find that all here. Whilst I have taken inspiration from the creator of bullet journaling, my own system differs slightly to the original. It's important to find what works for you when it comes to bullet journaling; there has been much trial and error. The pictures below aren't the best quality, but they show how I've started my October spread, and as the month draws to a close I'll do an update post showing how my journal typically looks at the end of the month, plus any collections I added throughout the month long period. This two page spread is the start of the month of October in my bullet journal. I've always begun my month's with a calendar page listing the dates in the month, as well as lettering the days alongside the date. I use this calendar to reference any goings on in the month - birthdays, appointments, deliveries etc. The second page is for notes. This is the first time I've actually included a notes page alongside my calendar like this. Sometimes I have things I want to jot down, but they don't warrant an entire own page, and so this is where my notes come in. Previously, where the notes are now, is where I used to keep a habit tracker. I know many people love habit trackers in bullet journals, and I did try it for a good few months, but honestly, I was just terrible at tracking things, and so it made sense for me to just stop using a habit tracker. The next two page spread also features a calendar, well two actually. These calendars are for my blog posting schedules - I have two blogs, so require two calendars. I have previously used the one calendar to keep track of both blogs, but I find having the two separate, but being able to reference them at the same time, works a lot better for me. 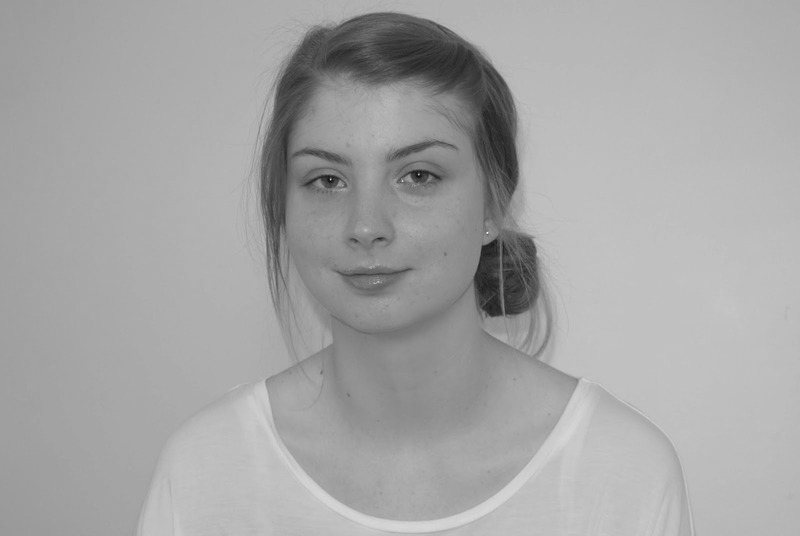 The first calendar is for Reading With Jade, as that is my primary blog, and the second is for Captured By Jade. I use dots to create my calendar as opposed to lines, because lines looks like too much on the page for me. I don't know if that makes sense, but it does to my eyes. This two page spread is all about books - yay, books! The first page is a place to list all the books I read in the month of October, and the second page is to list all the books we borrowed from the library for Alexander (my two year old) in the month of October. The last two page spread I'm sharing with you is the beginning of my weekly spread. The first page with the ribbon headers is for me to write one or two good things about my day that I want to remember - gratitude pages if you will. As you can see, there are only seven dates on the page so far, and as those dates are filled a new page will be made within the weekly section. The second page of this spread is how I record my week. I make a to do list underneath the date header, as well as make note what we had for dinner that day to the side of the header, and use the little square in the corner to record the weather. As the month continues more dates will be added, of course. And that is how my October spread is beginning in my journal. I've put off sharing my bullet journal a couple of times now as it isn't pretty like most of the others I've seen online, but I hope sharing how I curate my journal has provided some inspiration for other less creative people who are interested in the concept. I went with a line journal for mine, so I am very low key. lol I think I am going to go to the grid format when this one is full and see how that goes! I was hesitant to go with the grid format at first, but I've found it really works well with how I plan everything out. I love that you shared your journal pages! I see a lot of the journals with beautiful designs and think that I could never dream up anything like that. But you are so right that it's your journal, so some will reflect a love for art and text and some will be more streamlined. I love that you keep track of what Alexander is reading too. I'm trying to do a better job of keeping track of which books the kids are loving, but it seems to get lost in the shuffle lately. There are so many beautiful bullet journals out there - I can spend ages pinning on Pinterest and swooning over the creativity! However, I will just never possess that kinds of artistic flair. Haha! I let that stop me from bullet journaling initially, but then I learned to love my simple design and the ability to keep everything I want in one place. Keeping tracking of what Alexander is reading is a relatively new thing, but one I hope I keep up. I totally understand it getting lost in the rest of the day to day stuff! I love how you're organizing it and everything looks so neat and tidy! I look forward to seeing your post later in the month to see how things are going! Thanks, Katherine! I love having a system in place when I keep everything all in the one place without papers here and there. These things confuse me. I'm interested in them, but I don't know if I have the patience for them. Yours is very neat and organized, which is something I love! I may have to look into this more and try it. Haha - I totally see why they would be confusing! I think if you want to understand them a bit better, it's worth checking out the original bullet journal site as it is a wealth of knowledge, naturally. Bullet journaling is great if you're someone who likes to plan, likes list, makes notes etc, but have yet to find a system that works perfectly for you, as you can create that yourself in a bullet journal. I'm glad you shared your pages! My bullet journal is pretty simplistic, too, albeit with a bit more color (I have fallen ever so slightly into the trap of buying pretty pens). It's taken me a couple months to find layouts that work for me, but I think I'm finally there. I love how organized and productive journaling makes me! Ooo... I like the sound of your colourful journal! I haven't actually added any 'pretty' to my pages yet; I was focusing more on what does and doesn't work for me, although I do feel like that's an ever changing thing. I would like to jazz my journal up a little in the future though - we'll see. 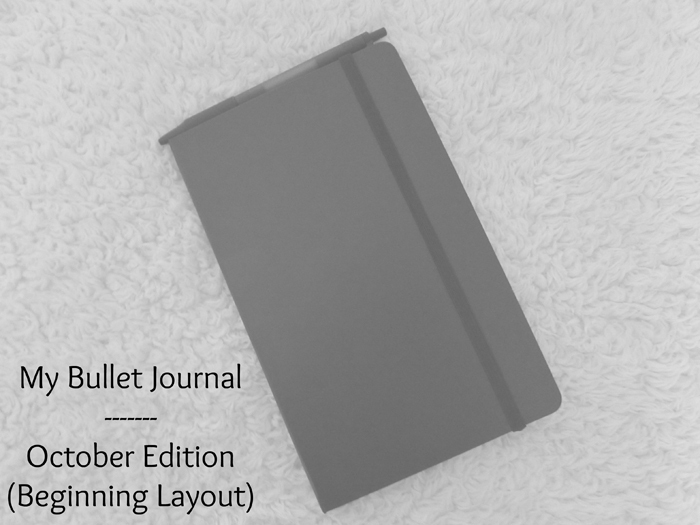 I'm glad you're enjoying bullet journaling so much, and have found a layout and such that works for you! Thanks for sharing this! It's so nice to see a simple version of a bullet journal. I think it's still beyond me in terms of a time commitment right now, but that may change in the future. Bullet journaling is a bit of a time commit, but it's only really how much time you want to commit, y'know. Setting up a month how I have shown in this post takes a bit of time, but in day to day terms I spend no longer than 10 minutes in my bullet journal. I totally get where you're coming from though!